The current crop of Michael Brown and Eric Garner themed protests apparently have as one of their goals educating white Americans about the horrors of racism in America. (I say as one of their goals, since their primary goals seem to be twofold: the rapture of riot and the opportunity for looting.) I strongly believe that the protests will fail to achieve this goal. For starters, when you see a million dollar athlete parading around in an “I can’t breathe” t-shirt, or writing the “I can’t breathe” slogan on his $300 Nikes, do you immediately think, “Oh, my God! Blacks in America are sooo oppressed”? Admittedly, the black athlete can’t help that his talent and incredible hard work shot him into the NFL stratosphere. He would argue that, by wearing that shirt, or holding his hands up when he enters a stadium, he’s doing his best to use his bully pulpit to make ignorant Americans aware that, while he’s not oppressed, some other black American is, in fact, oppressed. Empathy, folks. It’s all about empathy. That wealthy athlete’s empathy for his oppressed brothers and sisters is meant to spark our empathy. 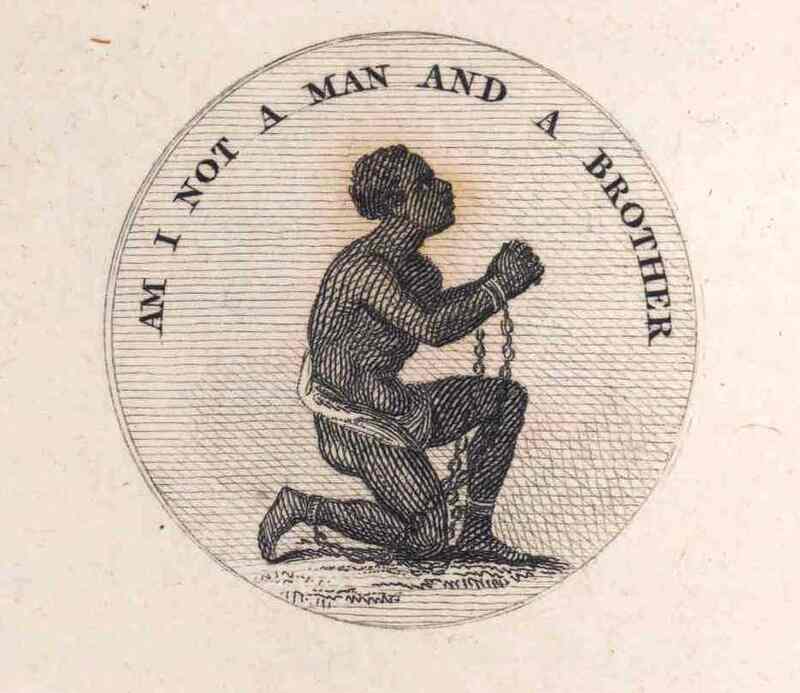 It’s the updated version of the Wedgwood emblem that played such an important part in the evangelical Christian uprising against the horrors of the slave trade. 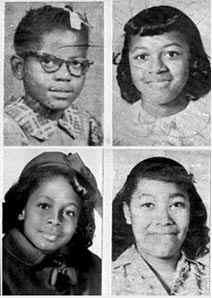 Indeed, even in our lifetime (or at least the lifetime of the more mature among us), this empathetic sense of brotherhood and sisterhood with a fellow human being was an important part of awakening complacent white Americans in the North and the West to the appalling human rights violations taking place in the blighted lands of Jim Crow. There was something powerful about seeing people just like us (except for the color of their skin) subject to great indignities. 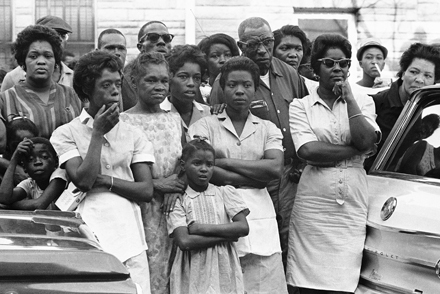 For people who had never paid attention to, or thought seriously about, the human degradation and constitutional illegality of the South’s apartheid, these images of people like our mothers, sisters, daughters, fathers, and brothers forced us to face our own prejudice, one that was indeed rooted in the color of skin rather than the content of character. And, in a testament to the fundamental decency of most Americans, this awareness, this recognition that we allowed our prejudices to blind us to human decency, changed our conduct and our attitudes. 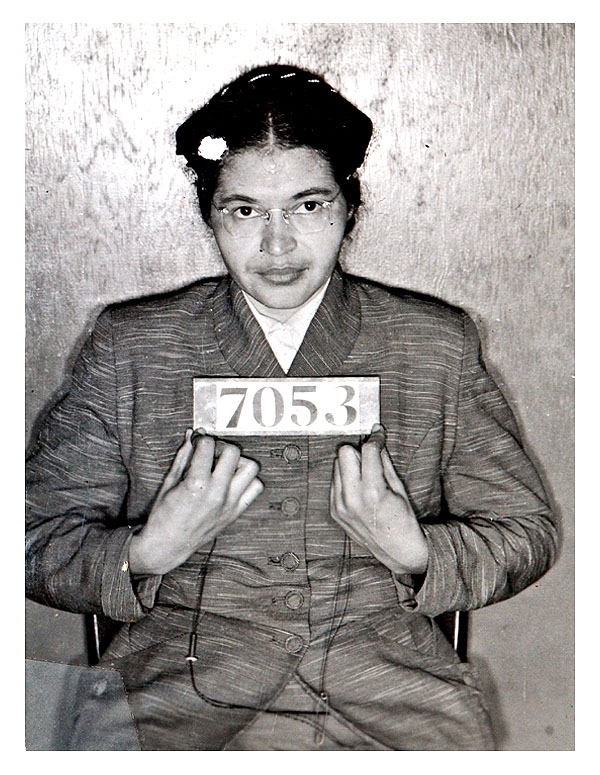 Empathy worked — as MLK and his inner circle knew it would when they chose Rosa Parks, as solid-looking a citizen as one could find, to be their emblem of oppression. Michael Brown was no choir boy. Minutes after a strong arm robbery, the mountainous 18-year-old who festooned his social media with pages intended to show his “gangsta” chops charged a police officer and tried to take his gun. Michael Brown’s stepfather was no choir boy. 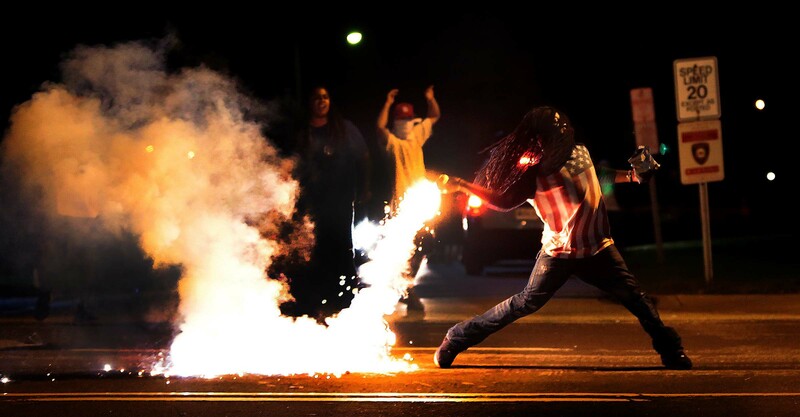 Instead, he urged his fellow Ferguson citizens to burn down their own community. Eric Garner was no choir boy. Instead, he was a morbidly obese man with all the health problems attendant upon morbid obesity, a serial offender, and a man who resisted arrest. The Ferguson and Garner protesters aren’t following in Gandhi’s and Martin Luther King’s footsteps by using non-violent protest to magnify the moral righteousness of their stand. Instead, they’re just a mob that loots, burns, assaults, and destroys with unholy glee. I feel no empathy for these people. They are not me. They are not clean-cut, they are not law-abiding, they are not peaceful, they are not morally decent. Importantly, I (and I bet most Americans) don’t distinguish myself from these people because their skin is a different color from mine. I distinguish myself from them because their character is different from mine. It seems fitting that the outrage expressed on behalf of Brown, Garner, and others similarly situated is cropping up in four places: ghettos, university campuses, university towns, and media outlets staffed by university graduates. 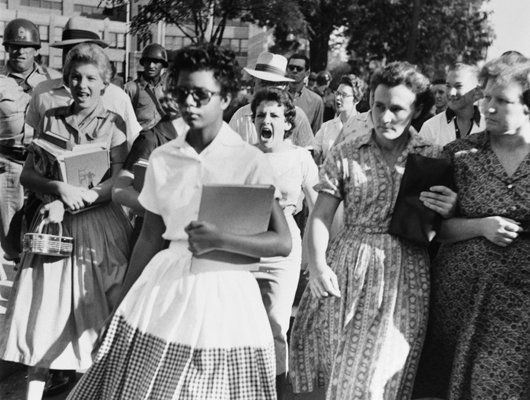 In all of those places a steady diet of political correctness, moral relativism, race-based thinking, victimology, and navel-gazing has raised a generation of people schooled to abandon good character in favor of a brutish racialism that always responds most strongly to the call of the riot. Empathy is defined as “Direct identification with, understanding of, and vicarious experience of another person’s situation, feelings, and motives.” I don’t identify with anybody in today’s racial theater. As a fairly decent human being, I’m certainly sorry that Brown and Garner died and, especially given the fallout, I especially wish they hadn’t. One can’t deny, though, that both Brown and Garner engaged in dangerous behavior just as surely as an Extreme sports athlete does. They thought they could get away with challenging police and they were wrong. (I should add here that I think it’s a travesty that the police had to be involved at all in Garner’s death, but it’s New Yorkers who voted in a legislature that made selling a loose cigarette the type of crime that results in police involvement.) I have little sympathy and no empathy for pathological stupidity. Likewise, I lack the will to drum up empathy for people who, indulging in the rapture of the riot, destroy their own community, or for spoiled young activists who think it’s a hoot to block the commuters whose work keeps our nation running, or for opportunists who seize upon the actions of useful idiots as a vehicle for looting Apple stores.